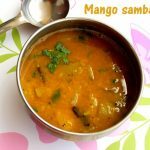 Sambar is prepared either with single vegetable or a combination of various vegetables like brinjal, ladies finger, radish, pumpkin, potatoes, tomatoes, onions and drumstick. 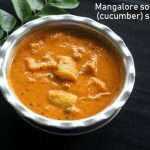 In coastal Karnataka and Tamil nadu, where coconuts are grown in plenty, sambar is prepared with a paste of freshly ground spices and grated coconut instead of sambar powder. 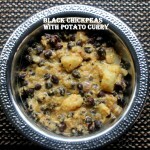 It gives more taste to the sambar. 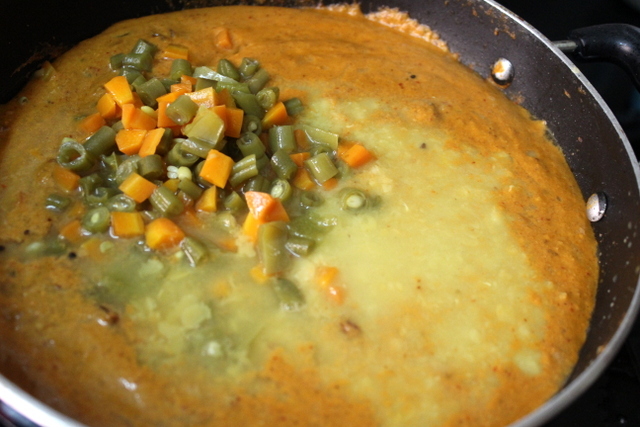 Sambar is usually served with steamed rice in south indian cuisine. 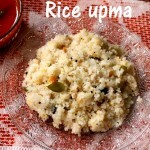 But it is also served as an accompaniment for idlis, dosas and vadas. 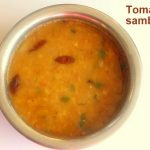 In this sambar recipe, I have used a mix of vegetables like shallots, carrots, French beans, capsicum and tomatoes, tur dal, tamarind pulp and freshly ground spices. 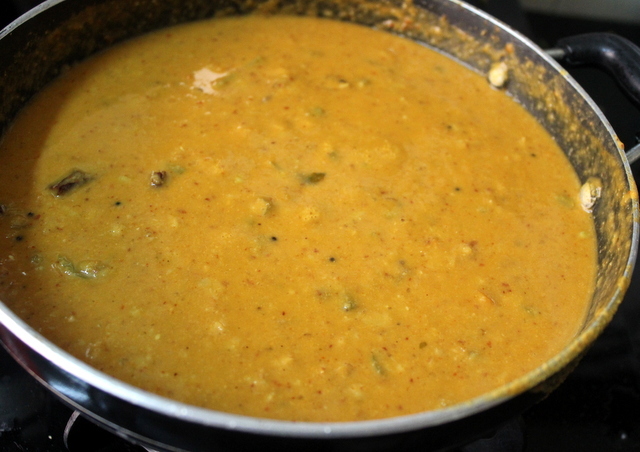 You can also prepare sambar in a pressure cooker, but traditionally the vegetables are cooked first and then mashed dal is added to the vegetables. 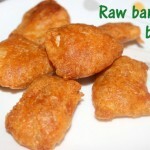 You can add your own choice of vegetables like radish, drumstick or pumpkin. 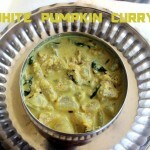 But do not add too many vegetables, otherwise you will have more vegetables than the sambar or gravy itself. Wash and soak tur dal for half an hour. Pressure cook for upto 4 whistles. 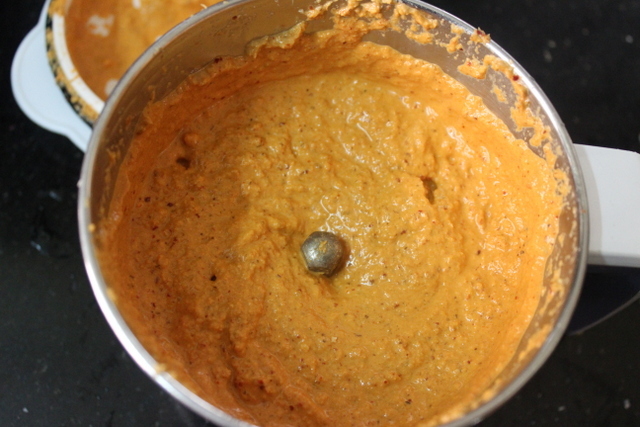 Once cooled down, mash the dal and keep it aside. Soak the tamarind in hot water and extract one cup of tamarind water and discard the pulp. Boil the french beans, carrot and capsicum with enough water and till just cooked. Set aside. 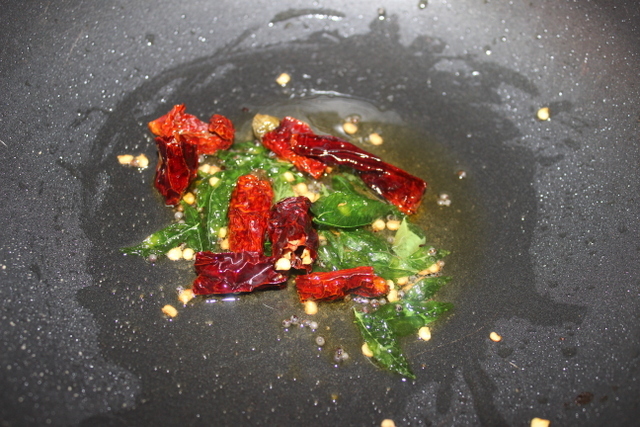 Heat 1 tablespoon of oil in a kadai or pan. 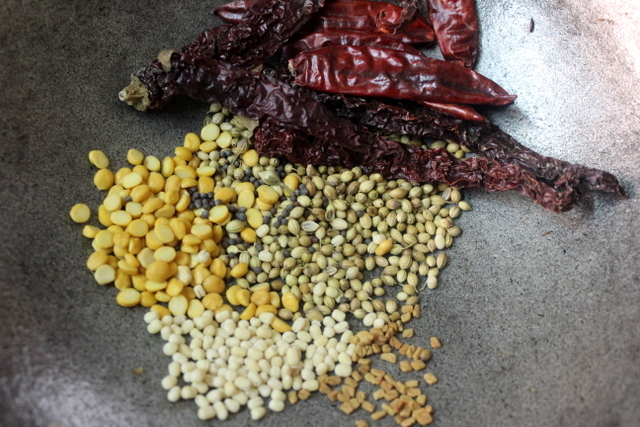 Add coriander seeds, chana dal, urad dal, mustard seeds, methi seeds and red chillies. 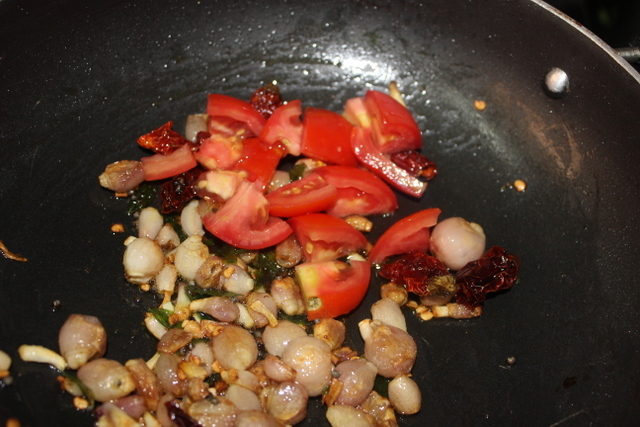 Roast on a medium flame till the raw smell goes away and dals turn light brown in colour. 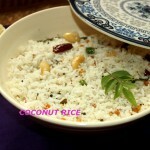 Add grated coconut and saute for half a minute on low flame. Switch off the flame. 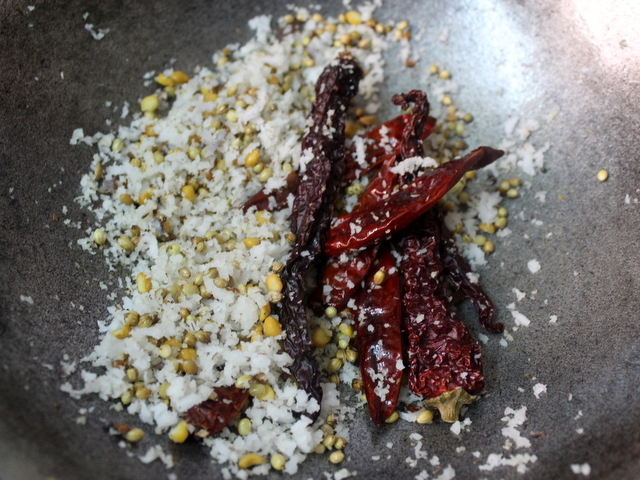 Once cooled down, grind all the roasted ingredients with little water to a smooth paste. Set aside. 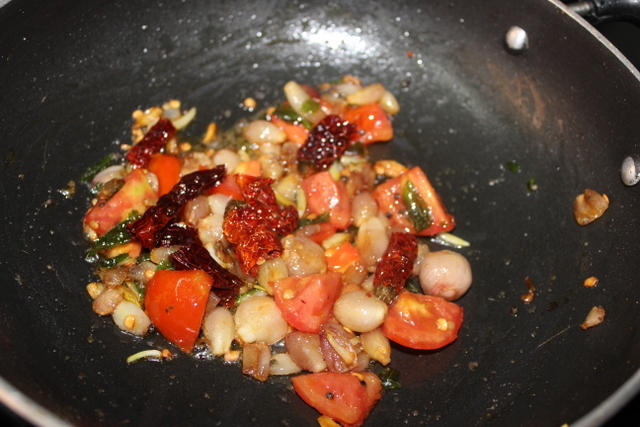 Once the onions are cooked, add tomatoes and saute till they become little soft. 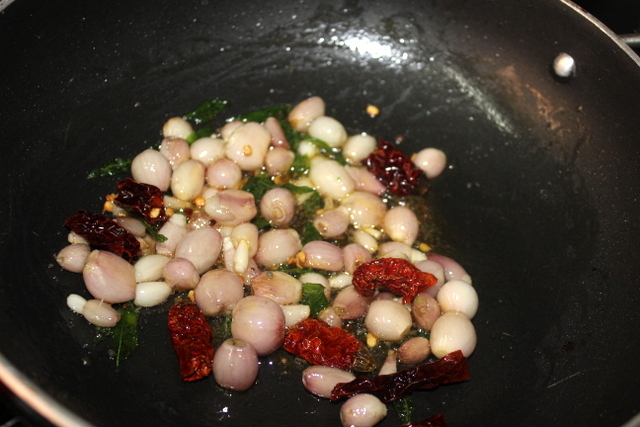 Add tamarind water and salt and mix well. Allow it to boil till the raw smell of the tamarind goes away. 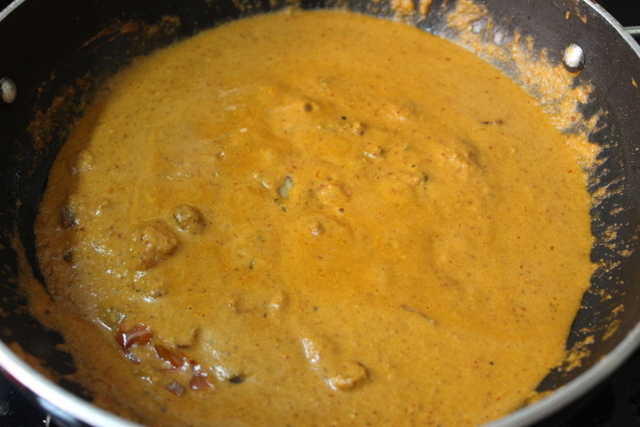 Then add the sambar paste or masala. Mix thoroughly. Cook for another two minutes on a low to medium flame. 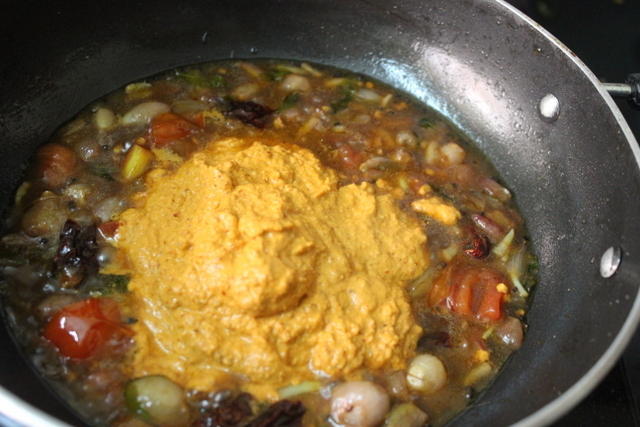 Add the mashed dal and boiled vegetables and mix again. Add water if required to bring it to a medium consistency. 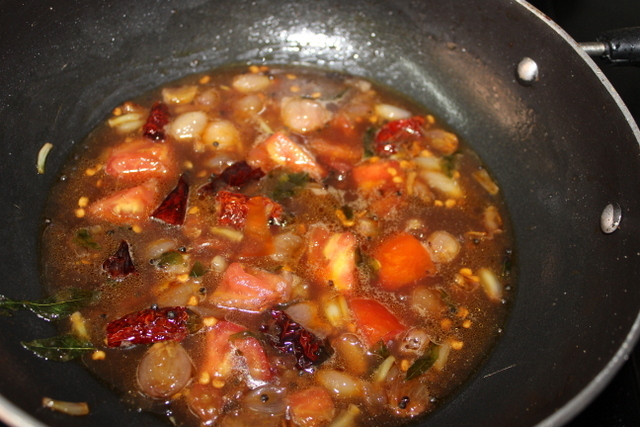 Simmer the sambar for another 5-6 minutes on low to medium flame till it thickens a bit. Switch off the flame. 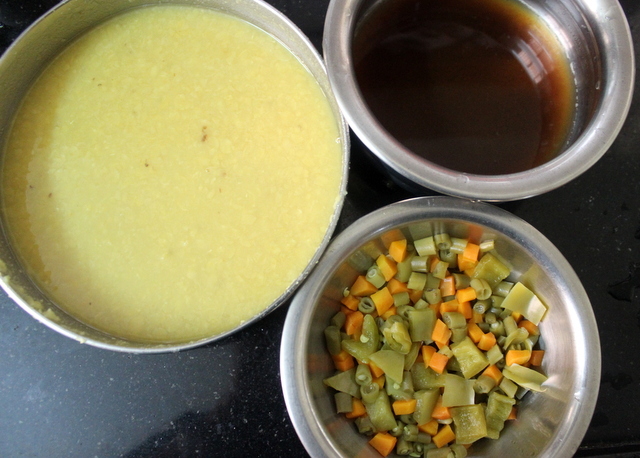 Mixed vegetable sambar is ready to be served. 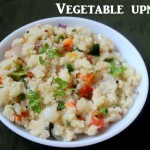 Serve mixed vegetables sambar hot with steamed rice and papads. 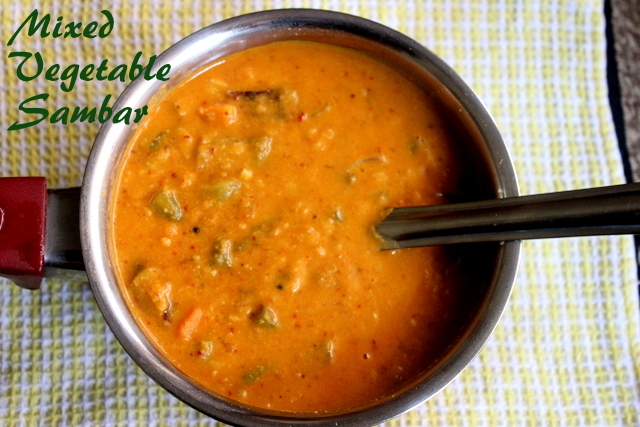 Adjust the consistency of sambar by adding little water along with the dal. Add the mashed dal only after the tamarind water comes to a nice boil and raw smell of tamarind goes away. You can also use ghee instead of oil for seasoning. 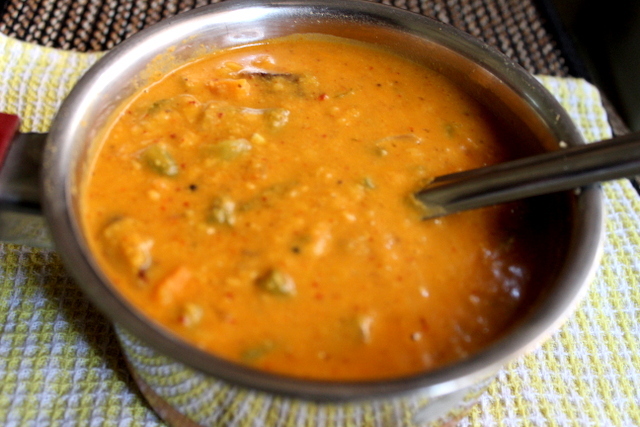 Add little jaggery if you prefer a sweet taste of sambar. Soak the lentils for 30-40 minutes for faster cooking. 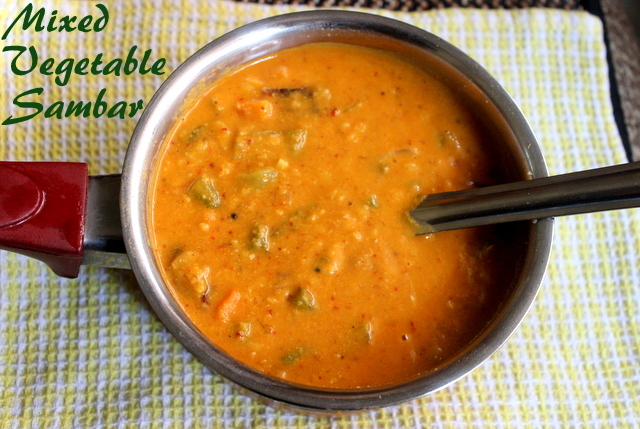 Sambar stays good for upto 2 days when refrigerated.